This is the perfect estuary or lake fishing boat. A 40 – 60 hp outboard will take you to favourite spot quickly and comfortably and provide you with a stable fishing platform when you arrive. This boat has a lot of space for a 4.6 metre tinny. 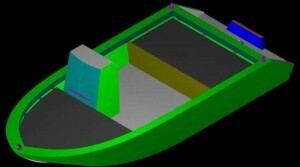 There is a casting platform at the front, storage space fore and aft and a 50 litre under the floor fuel tank. An easy boat to handle on your own or perfect for two or three anglers wanting to spend a day on the river. 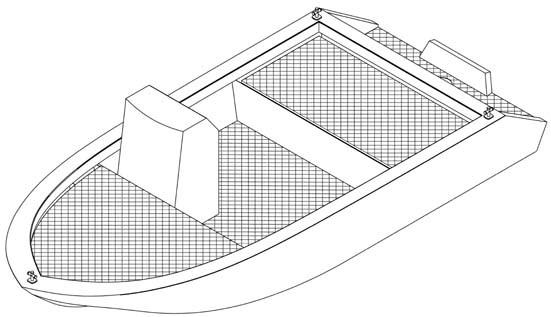 If you would like a V-NOSE PUNT and don’t feel confident of building it, one of our licensed agents will manufacture this boat for you. For more information or a list of materials in the flat pack, Feel free to contact us.